Little Tikes TotSports T-Ball Set Just $13.99! Down From $35! PLUS FREE Shipping! You are here: Home / Great Deals / Amazon Deals / Little Tikes TotSports T-Ball Set Just $13.99! Down From $35! PLUS FREE Shipping! Calling all Amazon Prime Members! Your kids would surely enjoy this sports ball set! Head over to Amazon where you can get Little Tikes TotSports T-Ball Set for just $13.99 down from $34.99 PLUS FREE shipping! The Little Tikes TotSports T-Ball Set is perfect for your little ones first introduction to the game of baseball. 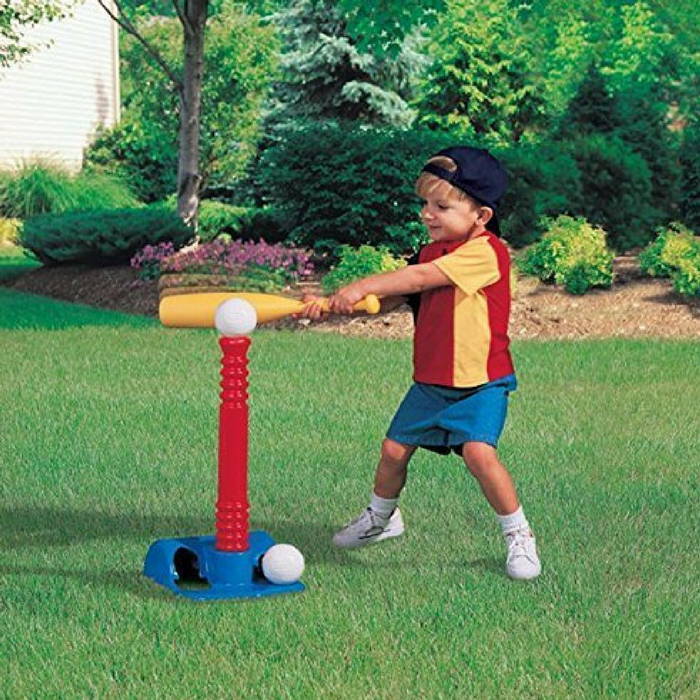 The oversized bat makes it easy for toddlers to make contact with the oversized baseball and practice their swing. Nice!